When was the last time that you drove past a business with a nearly empty parking lot and thought to yourself, “Wow! That looks like a good business, I should go there.” I would guess that for most of us, that has not happened. 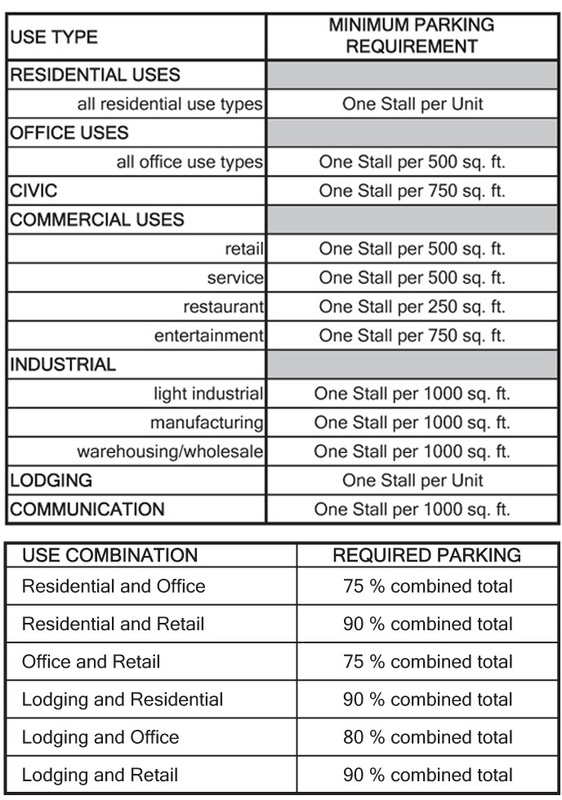 A component of this was discussed in the prior blog post, Parking Requirements: Less is More. However, another component has more to do with land use and capitalizing on the timing that certain businesses need parking. 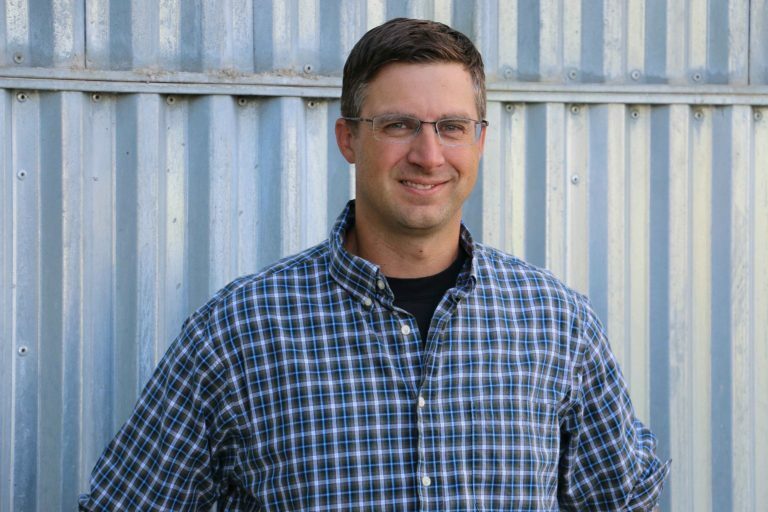 If considerations were made in the planning and entitlement phase of development to organize land uses symbiotically by parking needs, land and infrastructure costs could be dramatically decreased. Urban Land Institutepublished a book titled Shared Parking, which discusses opportunities in creating mixed-use places that are successful due to their creative manner of effectively integrating uses with different parking needs. Yates Farms: A neo-traditional neighborhood in Artesia, New Mexico. Illustration by John Olson under employment with Thomas & Thomas. 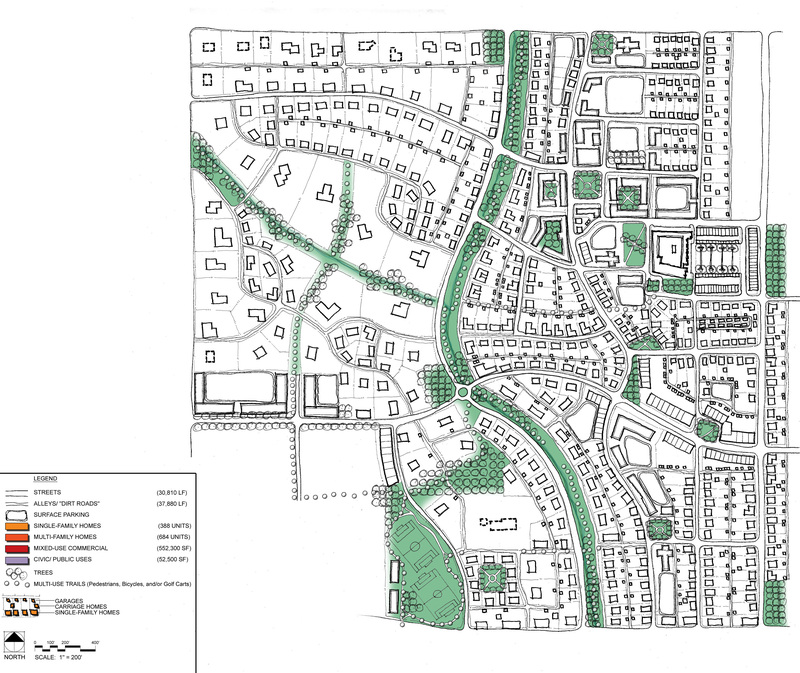 Yates Farms is a planned neo-traditional neighborhood that I worked on during my tenure at T&T. Parking is always a necessity but when it is planned creatively with synergistic uses it is not intrusive to the pedestrian experience. 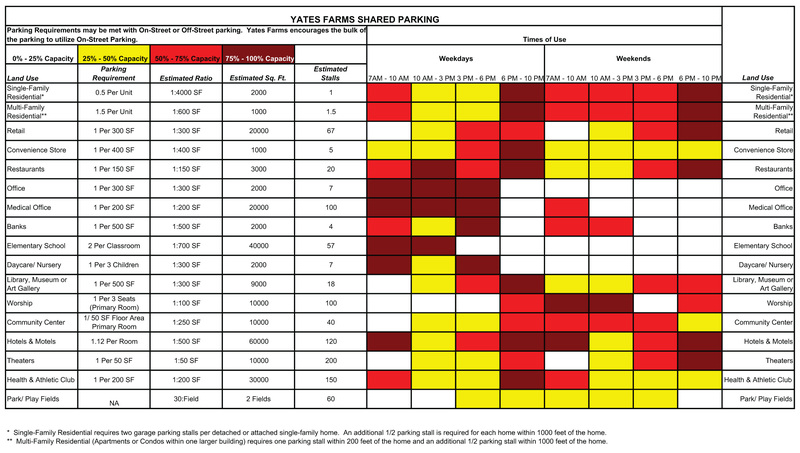 In the case of Yates Farms (table below), I methodically decreased parking ratios across the board while illustrating the periods of use in the regulating plan document. This allowed the ability for the parking requirements to be minimal. For the areas in the Colorado Springs Downtown form-based code district that require parking, shared parking opportunities are available. During the writing of the Downtown Colorado Springs Form-based Code, shared parking was handled in a different manner. Parking decreases were dependent on the presence of the other use (as shown in the table to the right). However, a large portion of the downtown area in Colorado Springs does not have parking requirements associated. This philosophical approach was based on the fact that tenants and financiers have their own parking requirements and additional requirements in a downtown are seen as over-regulation.